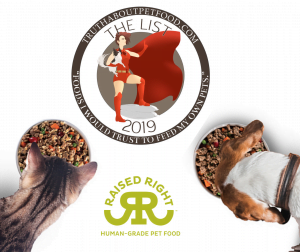 Each year Susan Thixton, also known as “The Caped Crusader for Safe Pet Food”, publishes “The List” in her Petsumer Report through TruthAboutPetFood.com and its consumer association, Association for Truth in Pet Food. Susan holds advisory positions on two AAFCO committees – the Pet Food Committee and the Ingredient Definitions Committee. AAFCO is the Association of American Feed Control Officials which develops pet food regulations for the industry. “Raised Right is very proud to make The List. To be recognized by Susan Thixton is an amazing honor. Susan is a huge advocate for pets with the impact she is making through encouraging pet food companies to operate with transparency and strict safety standards, which is exactly what we do at Raised Right. We are a true human-grade pet food company. Our home cooked style food is made in a USDA inspected human-grade facility and every ingredient has passed the same standards necessary for human consumption. Every single batch of our food is tested for e-coli, listeria, and salmonella through a 3rd party lab. With our hold release program, we don’t ever ship our food unless it passes the lab safety test. The lab results are posted on our website for everyone to see, along with a map tracing all our ingredients to their source, and a video showing how our food gets cooked.” Says Braeden Ruud, Raised Right’s Co-Founder / CEO. The 2019 List includes a total of 21 different pet food companies. Susan developed the Petsumer Report to help consumers find safe and healthy pet food. Petsumer Report has done the homework for pet food consumers so that you don’t have to blindly trust the pet food label. Subscribers have access to a database that provides vital information on over 4,200 dog foods, cat foods, and pet treats (new products added each month). 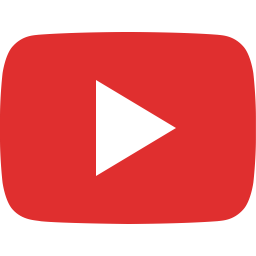 Subscribers have 24/7 access to information the pet food label does not provide and get alerts to risky ingredients, ingredient country of origin, grade or quality of meat ingredients, list of health promoting ingredients, and recall history. “Human grade and feed grade are two very different divisions of pet food that unfortunately most pet owners are unaware of. The FDA allows feed grade pet food to – as one example – to utilize meats sourced from “diseased animals or animals which have died otherwise than by slaughter“. This type of ingredient in ‘food’ is illegal, but FDA openly allows it in a ‘pet feed’. No pet owner is alerted or warned which cat or dog foods contain these inferior ingredients, no pet food regulation requires this disclosure. In fact, existing pet food regulations deny quality manufacturers to disclose to the consumer the quality or grade of ingredients on the pet food label. The ONLY guarantee to quality pet owners have is when a pet food label states “Human Grade”. For the pet food label to state Human Grade, regulatory authorities have thoroughly scrutinized the claim. If you don’t want to purchase the List but want a quality ingredient pet food, find a pet food with Human Grade stated on the product label (ignore the claim on a website).” Says Thixton. You can access plenty of free information at www.truthaboutpetfood.com, or purchase The List (http://truthaboutpetfood.com/the-list/) or Petsumer Report (http://www.petsumerreport.com). Thank you very much Jai!! RaisedRight always had the best interest of pets at heart. It is nice to people with integrity recognized. Thank you very much George!